China’s 2013 year-end data will show that the past twelve months witnessed one of the slowest annual GDP growth rates the country has seen this century. A government reaction to the slowdown in the first half of the year produced a definite boost to growth, but as 2013 ends, some Chinese data seems to be pointing to more sluggishness. The effects of the mini-stimulus may be ending, which suggests that 2014 will see more downward pressure on growth rates. As readers of The Diplomat will be aware, a tough first half of 2013 led Beijing to step in to support the economy with a “mini-stimulus” that rolled out over the summer. This was the not the first time in recent years that the government “stepped on the accelerator” to maintain economic momentum, as a similar slowdown and boost occurred in 2012. Yet it may be that 2013’s stimulus is losing steam itself. China’s December official Purchasing Manager’s Index (PMI), which was released on the first day of 2014, showed a significant dip in activity. The reading came in at 51.0, down from 51.4 in November. This was below most expectations (which called for a smaller drop). Any reading above 50.0 indicates expansion. 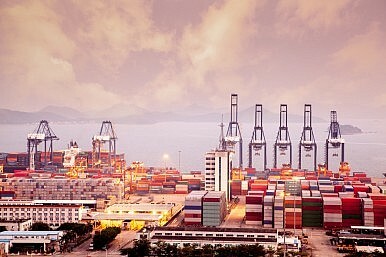 Significantly, both export demand and domestic demand showed up as weaknesses. In fact there were declines in new orders (domestic demand), manufacturing output (overall demand), export orders (external demand) and imports (domestic and external demand). December’s monthly data tend to get buried in the full year and fourth quarter data summaries, which are all released by China in January. Expectations for China’s full year GDP are focusing on a 7.6 percent expansion, slightly above the 7.5 percent growth target, but below 2012’s 7.7 percent final measure. Significantly, China’s Premier Li Keqiang recently suggested that 7.2 percent GDP growth would be an adequate level for China’s economy to expand in terms of job creation going forwards. Such a rate in 2014 would be the lowest Chinese growth rate since 1990 – a year of post-Tiananmen sanctions. If this PMI data is indeed a portent of more weakness and slowness in China’s economy, then 2014 will shape up to be a tougher year than 2013 for China’s leaders. Aside from employment worries, a slowing economy can create tensions and volatility in China’s debt-ridden financial system, even while it creates resistance to reforms from vested-interests who are set to lose out. The rebalancing act continues. Pacific Money wishes all its readers a Happy New Year for 2014. Thank you for all your time both reading and commenting on the blog in 2013.